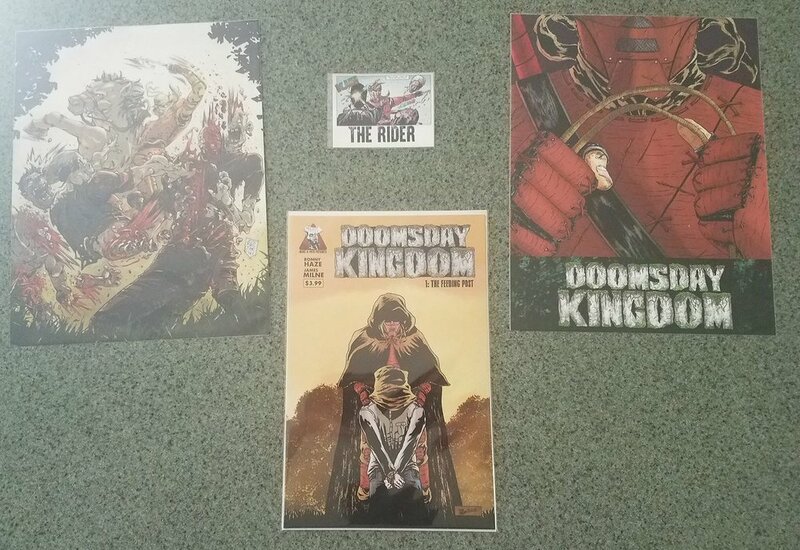 The Samples for Issue #3’s physical copies arrived today, completing goal #1. We spotted an issue with the files that needed a small adjustment and then cleared the issues for print. Next, we are at the mercy of the printers to get them made and shipped out to us, so we can ship them to you! Next steps will be to get all the copies needing signatures send to the UK to be signed by the artist and sent back to the USA to be shipped out to readers! 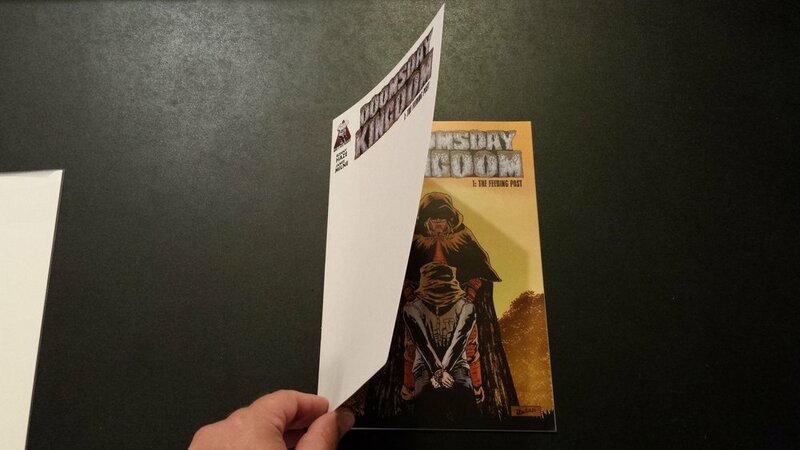 Three Part Goal: 1) Send Issue #3 files to printer, 2) receive physical copy samples and 3) “Okay” for mass printing. 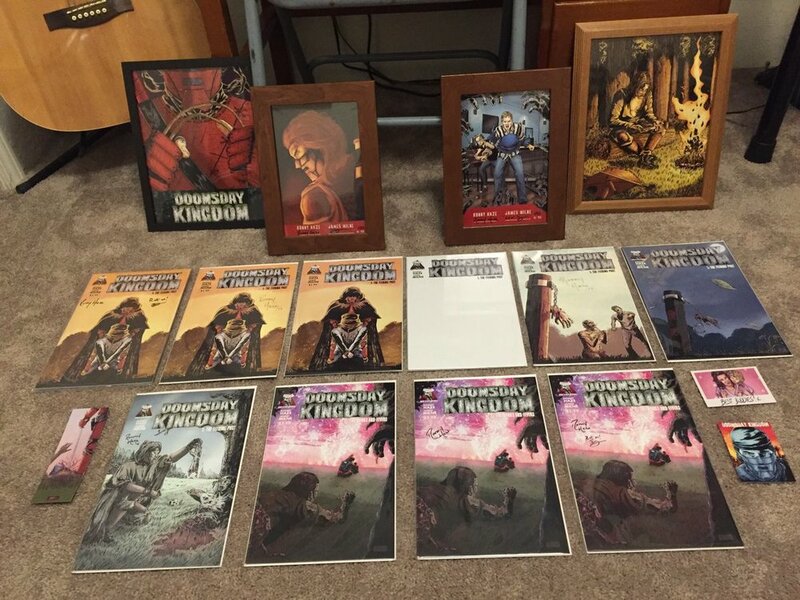 Our “Production Timeline” only started after we released issue #2. In summary, so far (as of Oct 2018) we have successfully released Issue #1 digitally. Followed by a physical release in a few variations. There’s (A) standard Cover, (B) Day Variant, (C) Night Variant (D) Blank Sketch Variant and the (E) 2nd Print Variant. Next, we released Issue #2 digitally, again, followed by a physical release. Only one Issue #2 cover has been made so far, no variants yet. We have successfully handled over 1500 orders to date and will set up some type of review section on this website for newcomers to know, this is legitimate and you will receive what you order. 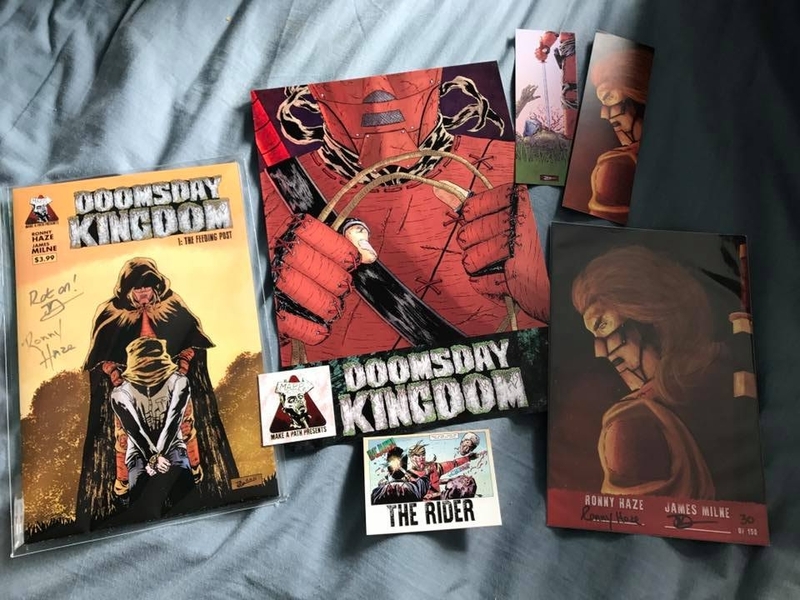 Feel free to reach out to us with any questions at doomsdaykingdom@gmail.com. During very busy production, we check the email once a week, so please be patient. We will respond. Thank you! NINE BOXES OF COMICS IN THIS PICTURE! Pulling copies to fill orders! 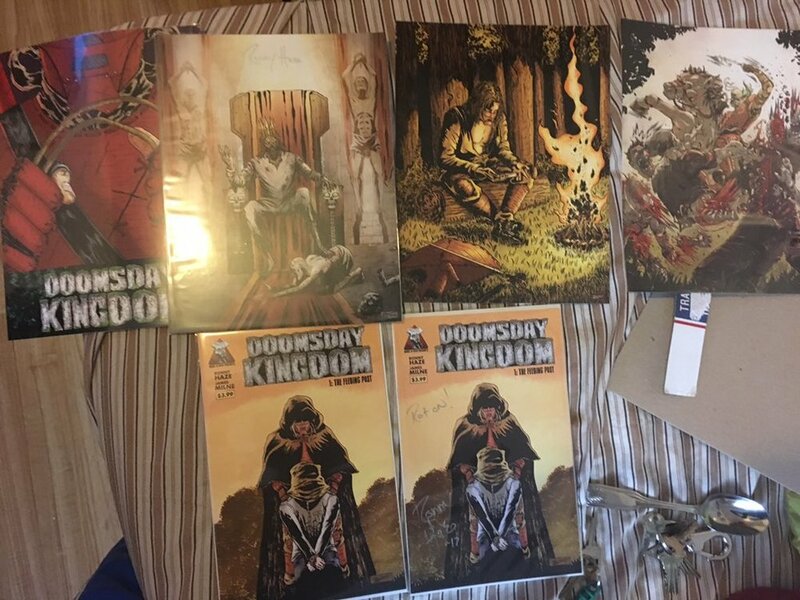 Doomsday Kingdom Issue #1 BLANK SKETCH VARIANT! A few of these are still in stock HERE! 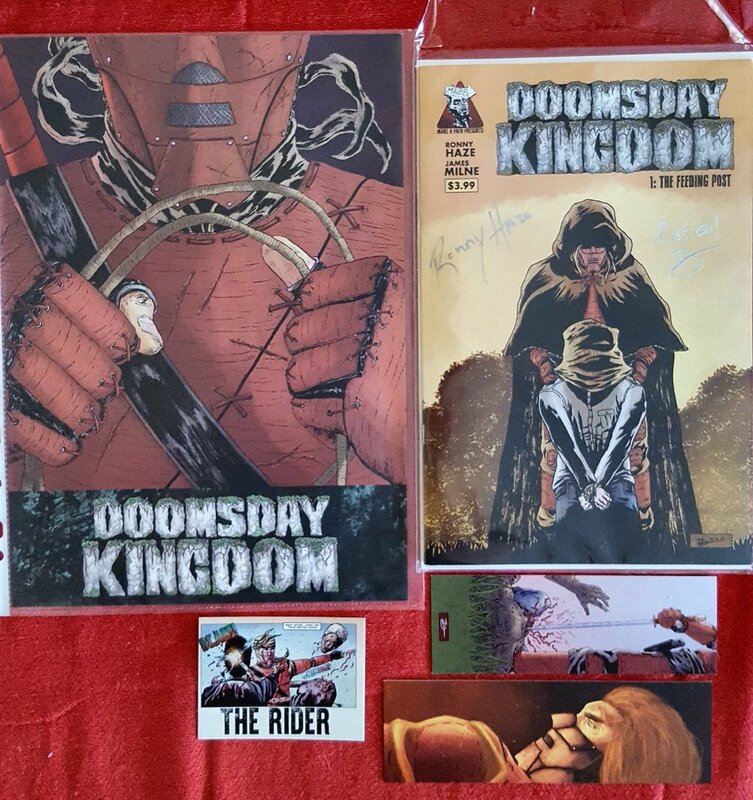 The Collectors Favorite, double signed, wrap around full cover display and bookplate! Limited to 150 and only around ten left in stock HERE! Some Images from the community!